Our Latest South Bergenite Column: Duck Time! First came a Northern Shoveler or two in Harrier Meadow in North Arlington. Then a couple of Northern Pintail started paddling around the Shorebird Pool in DeKorte Park in Lyndhurst. Next came a small flotilla of Green-Winged teal, slurping up food in Secaucus’ Mill Creek Marsh. While all of us were all busy with our autumn activities and chores, ducks have quietly invaded the Meadowlands again, joining our year-round resident mallard, gadwall and ruddy ducks. If you are looking for another reason to be thankful on this Thanksgiving Day, consider: DeKorte Park is typically one of the best places to view these wintering waterfowl in our entire region. 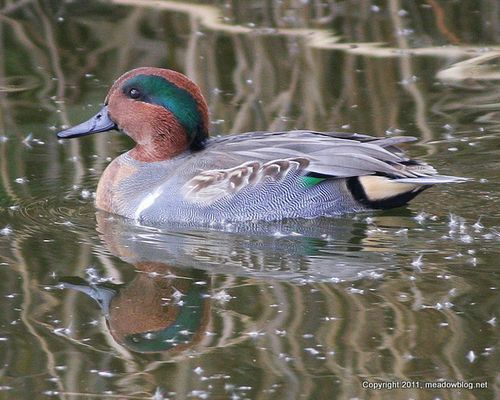 "I may have seen the Eurasian green-winged teal last weekend when I went to Mill Creek. In the photo above, you can see the white scapular stripe. 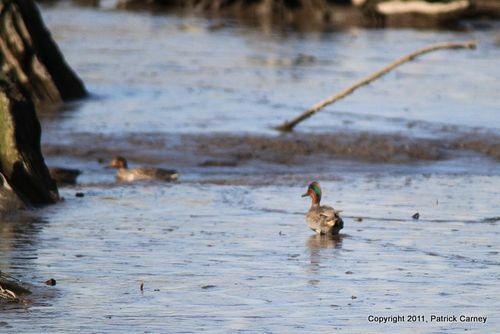 In photo below, it is lacking the white breast bar that the normal green-winged teal has. 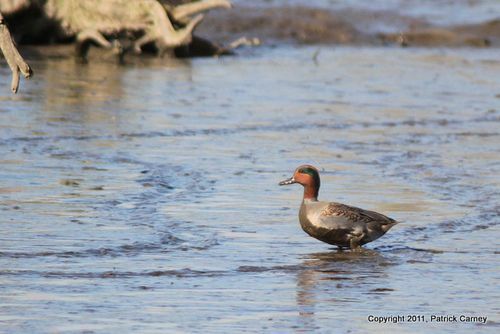 It was definitely different from the other teals I saw that day." 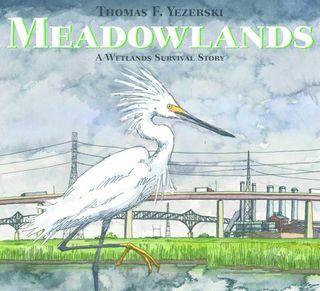 Tom Yerserki's book "Meadowlands: A Wetlands Survival Story," has been chosen as one of The New York Times Notable Children's Picture Books of the Year. Tom writes that he has been thrilled and gratified by the attention the book has received, and that he is "hopeful for all the attention to our beloved, imperfect estuary and intricate ecology." The link is here. Congratulations, Tom! If you have not seen this book, what are you waiting for? It's for sale in the Meadowlands Environment Center's "Tideland Treasures Gift Shop" and at a book store near you.